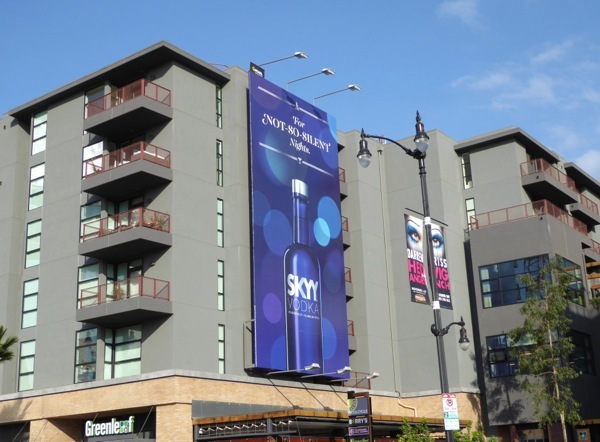 Even though it feels like it's been one big celebration since Halloween through Thanksgiving, we're officially in holiday party season with office parties and New Year's Eve bashes on the horizon. 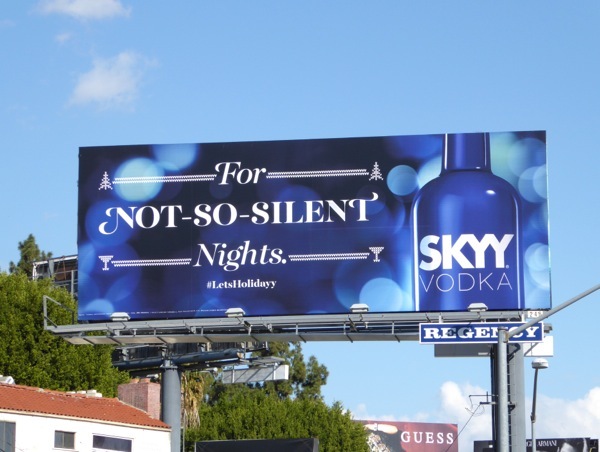 Fortunately Skyy Vodka is on hand to make sure your holiday season is memorable and full of fun 'not-so-silent nights', whether it comes in a shot glass, on the rocks, or in a festive cocktail. 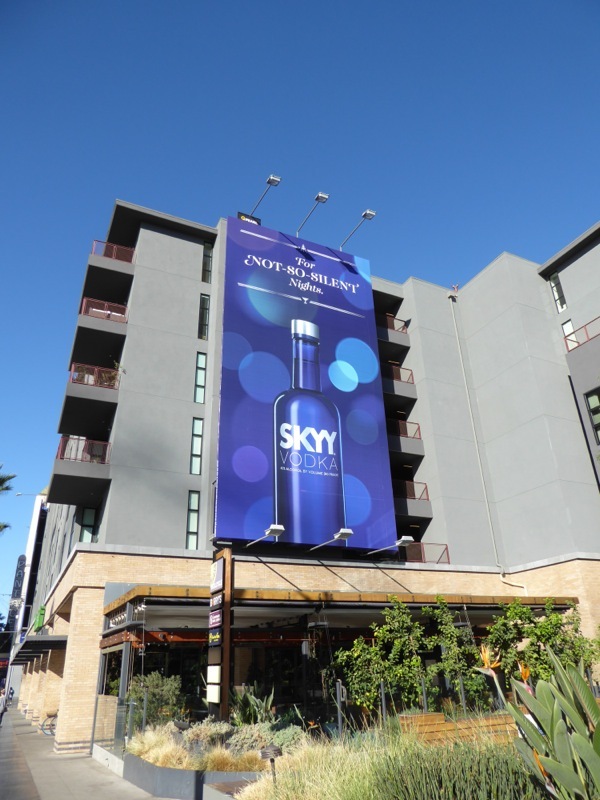 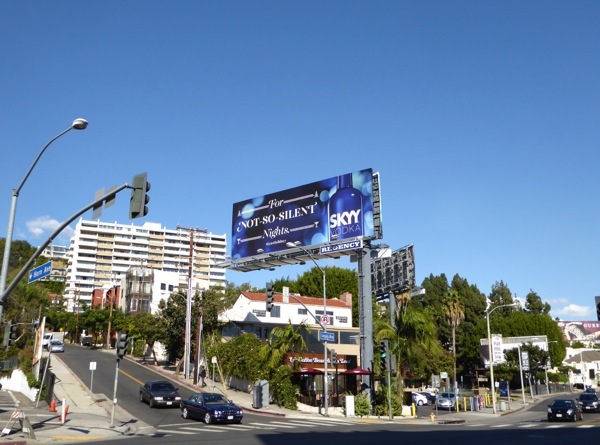 The glittering portrait Skyy Vodka billboard was snapped along Hollywood Boulevard on November 17, 2016, whilst the landscape version was photographed last November 27, 2015 along West Hollywood's Sunset Strip. 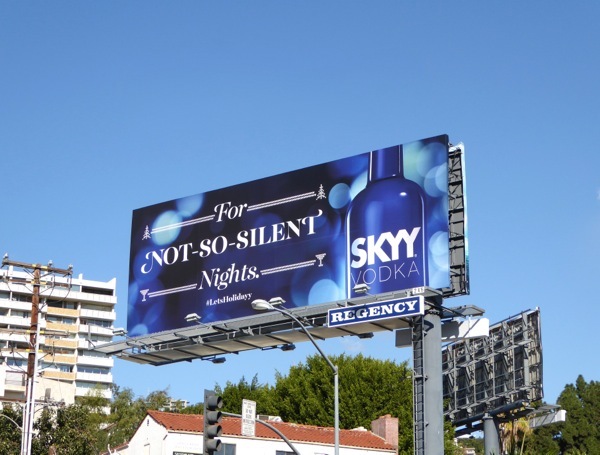 Fans of the vodka brand can also enjoy these fruity Skyy Infusions billboards from back in 2010. 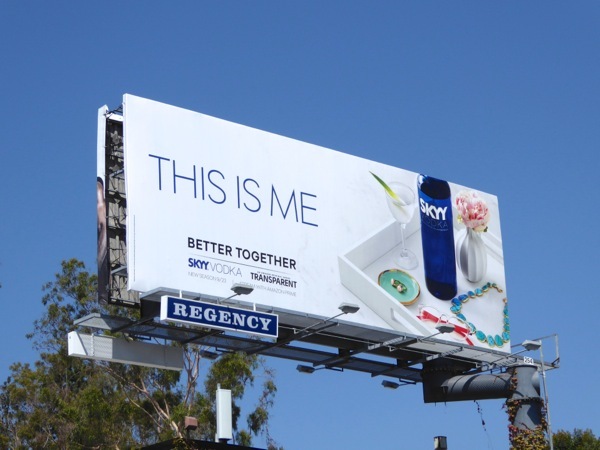 Meanwhile the 'This is me' ad creative with its Transparent TV series tie-in promotional partnership was captured along the Sunset Strip on September 6, 2016. 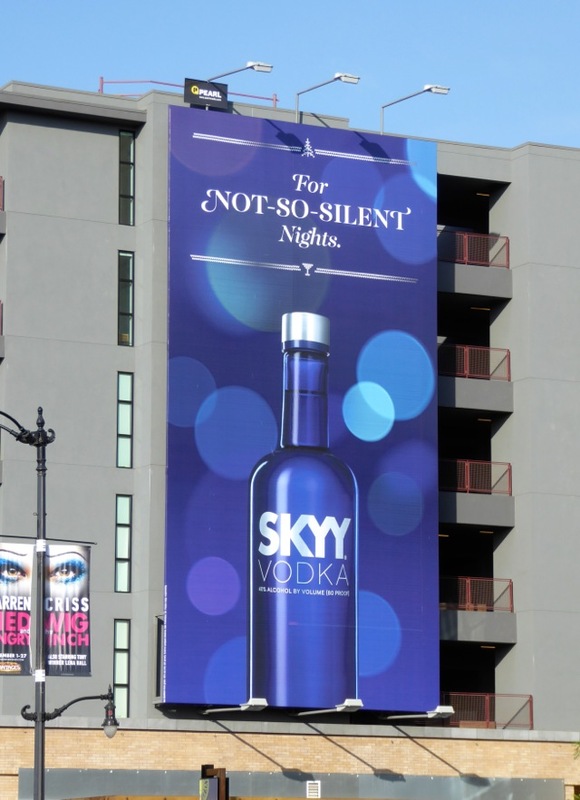 If you're a connoisseur of the clear spirit, make sure you also check out all these other vodka brand billboards making the city skyline merrier in recent years. 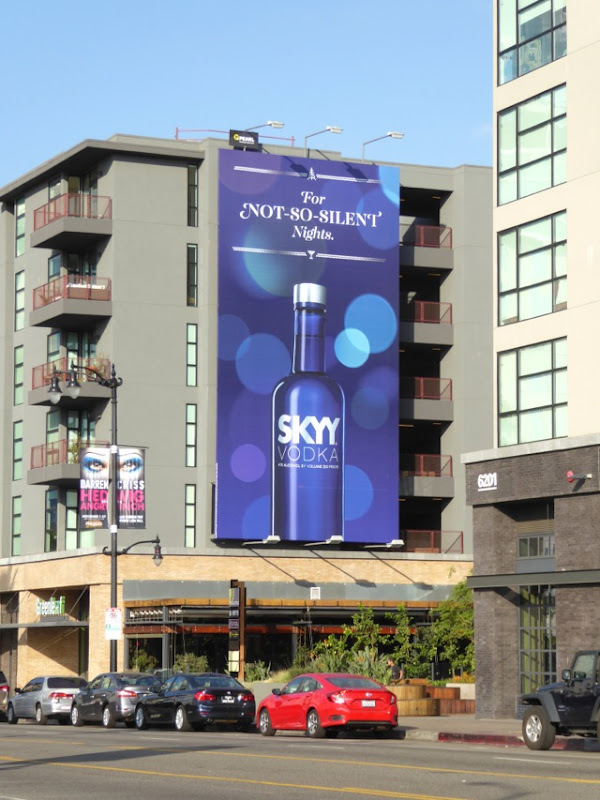 Now as the nights draw in and the cocktails flow, let's raise a glass (or bottle) to some happy holidays and make sure you jingle all the way.